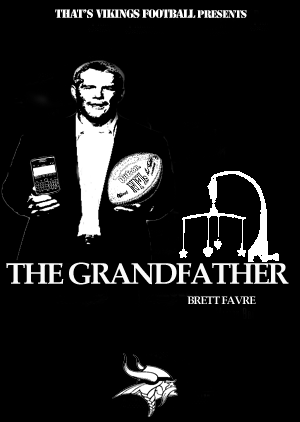 I’m not sure if Favre is the first grandpa in the NFL but he’s probably the highest paid one. Good thing he’s making all that money, Social Security may not be there for him when he retires. I think he’ll be OK after getting a sweet deal from the Vikings to come back for the 2010 season. Even if it took the “We Three Kings” to go down there and get him. Make me an offer I can't refuse Zygi.